Cosmo Oil plant in Ichihara, Chiba Prefecture, was one of two refineries that suffered major damage from the earthquake.Go to related article »Energy is a prominent topic in the news, both explicitly and implicitly, because of developments like anuclear plant failing in Japanin the aftermath of the tsunami and arise in United States gasoline prices– both with far-reaching implications. 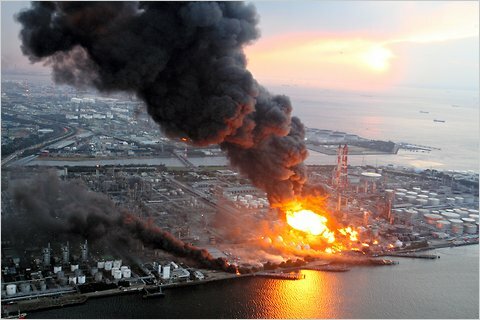 The damage done to Japan’s Fukushima Daiichi power plant by the tsunami has raised pressing concerns, both about the impact of the plant’s failure as well as how it will affectenergy policyin theUnited Statesand around the world. And gas prices touch many aspects of life and policy, includingoil reservesandPresident Obama’s approval ratings. People arechanging their spending and driving habits, and our slowly recovering economy isfeeling the effectsof rising prices. In light of all this and more, here are lesson plans and other teaching and learning resources on various forms of energy and issues related to its consumption and conservation.